Remember back when Groupon was a fundraising sight for social change? Or when Pinterest, then called “Tote,” was all about retailers? Of course you don’t, because those brands successfully changed directions and became way more popular because of those business pivots. Sometimes, for whatever reason, your business feels like it’s headed in the wrong direction. Maybe you’ve realized the thing you’re trying to market just doesn’t have a market, or that you really don’t like the freelance services you’ve been offering. Maybe you started when you were pretty young and you’ve decided it’s time for a mature image change. Whatever the reason, if you’re thinking about guiding your small business or freelance outfit into a new direction, it’s important to understand that you don’t need to blow up everything you’ve worked for just to make the change. It’s also important to be really clear about why you want to change, and how you’re going to go about it. Be realistic about your reasons. What are you changing — and more importantly, why are you changing? If it’s because that you feel unfulfilled or unhappy with the current direction of your business, it’s a good idea to look into why that is. What currently isn’t working? What will the new direction help to correct? Or maybe you want to change directions because you feel suffocated in your market. Say you’re a newborn photographer, and you feel that there are just too many newborn photographers to compete with. This is not the best reason to change, especially if newborn photography is what you really love. In that case, consider branching out your services — but also consider why it is that you feel so crowded. Do some market research to find out if the market is really that competitive, or if maybe there are smaller changes, like a beefed up marketing plan, that can help you stand out more. Remember that you don’t need to change everything. If you’re going to make some changes to your business — like alter your services, or readjust your focus — you might be inclined to swap out all of your branding and other materials to match your new direction. That could be a good idea down the line, but rolling out too many changes at once is a quick way to confuse clients. Instead, stick with just what needs to change, then tackle the other mismatches later. Remember, too, that brand loyalty is strong. Consider all of the times companies have tried to “freshen up,” only to be met with disastrous results. Sometimes, a facelift should be passed over for something more subtle. This is good advice even if you’re a sole proprietor. Your changes are going to impact your tribe, so make sure you fill them in. Change is addictive. Have you ever noticed how some companies seem to rebrand every other week? That’s usually because the people within the company believe that eventually, if they make the right change, everything about their business will improve. But truthfully, that’s almost never the case. Change takes time to reflect in numbers and other significant business indicators. Give yourself time to really see the ROI — or maybe the lack of ROI — of previous changes before making more. A new logo, a new business direction, or a new menu of services isn’t going to transform your business overnight. You need to let things take shape before trying something new (again). Keep your eye on the prize. Before you make any change, decide what the end goal is. More money? A larger client base? A job title that you like better? Whatever it is, make sure all of new plans are leading in that direction. 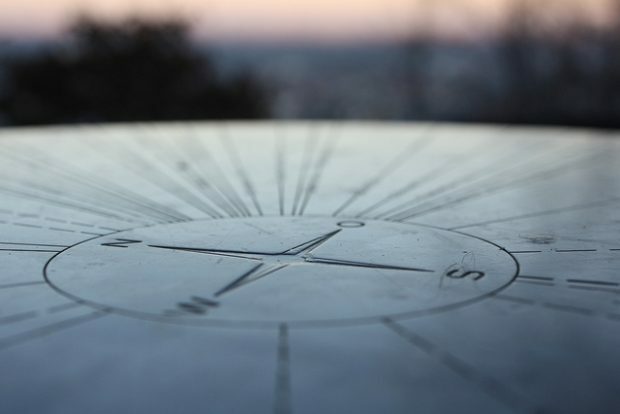 Changing directions can often feel like a cure-all, but remember that it’s unlikely that any business pivot is going to alleviate all of your pain points. Be realistic about why you’re making changes, then commit to them.